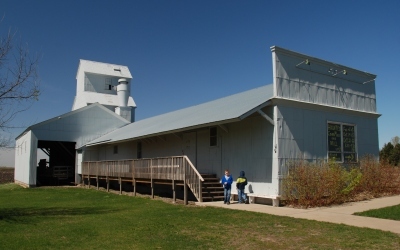 The historic Feed Mill was donated to Farmamerica by a local merchant in 1989. In the late 1800s and early 1900s, feed mills sprung up around the state as more farmers arrived in Minnesota. Farmers needed a way to grind and sell their grain and corn before transporting it by railroad to urban areas. Soon, the local feed mill became a local gathering place and store for all of their farm needs, selling seed, livestock feed, medicine, tools, and fertilizers. As farmers became more prosperous selling their excess grain, they were able to buy their families luxuries they’d never had before, and their grain was now sold to help feed urban families. Select photos courtesy of The Waseca Area Foundation.